Anahata Chakra: Your heart’s true song. In Sanskrit, Anahata means “unhurt, unstruck, and unbeaten”. Your heart is your soul drum pounding away in your chest, pulsating with its primal beat. From before you were born it has been rhythmically beating. Through work, rest or play it sustains the life within you. It loves its job. With the power of Manipura below Anahata fuelling our immense capacity to love but also put that love to good use and pass it on, share it and heal ourselves, one another and the world/planet. Manipura helps us put this love into action. Within us we have a strong power, realise this power and hold onto it. Wherever we go we leave a trail behind us. All vehicles do this, our body is no different. It is our own responsibility to leave a trail of hope, serenity and possibly bliss behind us instead of chaos, confusion and corruption. Isn’t it better to imprint the earth with positivity and the essence of love, rather than leave behind the footprints of calamity and war? This is a personal choice. The heart chakra is all about choice, trying to make heart centred choices and not selfish and/or self-destructive ones. At the evolution of the heart chakra, we learn the importance of not just bettering ourselves but helping others in their own journeys too. By this, I do not mean enforcing our opinions or views on others. No way! I just mean giving people who need it a hand on the shoulder or helping them up when their down with zero judgement. The present moment is new to us all, this makes us equals. 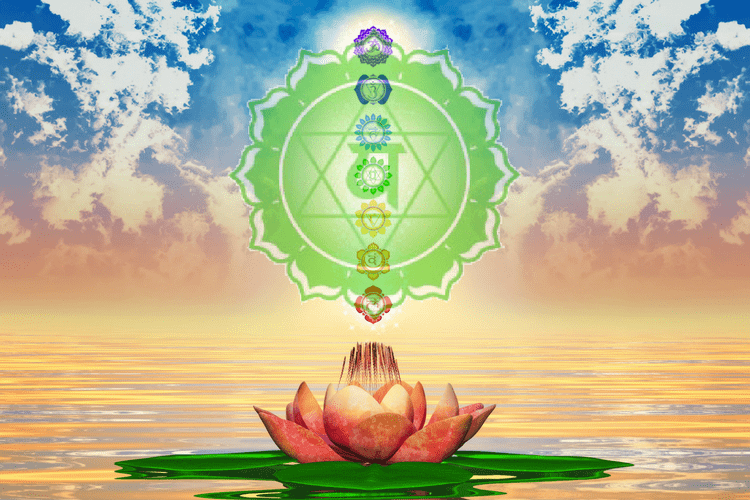 Equality and balance are major themes of this vast and mystical chakra. Anahata is both worldly and spiritual; it is the balance between the human and divine qualities in a being. The heart being this primal drum that does not need two things striking together to make it beat, rather like the percussion in the soundtrack to our lives. Yet it is also this visceral pump that sends oxygenated blood to our body’s cells and dispels the carbon dioxide filled blood out of our bodies in this almost alchemical exchange of gases. 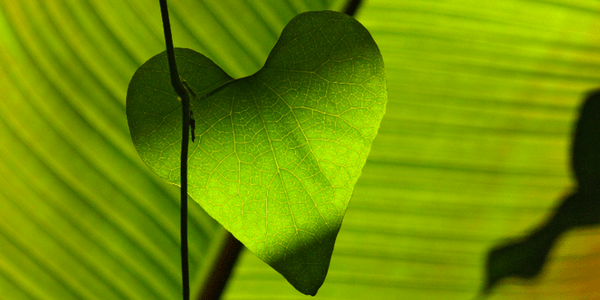 When our heart chakra is aligned we live life singing our hearts true song. The journey of the heart is this coming home to our truth. Home really is where the heart is. Never mind where’s your head at…where is your heart at? Ponder that question for a moment…what does heart mean to you? It’s a word that can conjure up different definitions to us all, but what does it symbolise to you? Then pause and FEEL your heart, its gentle pulsing. Just to pause and feel your heart space is a super simple way to start to tune into your heart mind. We have around 40,000 neurones in the heart, so we really do have a heart-mind. Now find a place you can sit comfortably and not be disturbed for 10-15 minutes. Turn off your phone ringer and create sacred space for yourself. – Feel your breath, do not change it. Just feel the ebb and flow of that sacred life within you. – Then think about someone you really love…this could be a lover, family member or even a pet. Someone, who when you think of them you get that warm sensation of love wells up from within. Stay with that sensation. Then begin to let it overflow to the other people in your life that you love…let it spill out and like a healing wave bless the other souls in your life. Now keep spreading that love out to colleagues, neighbours, other people you know and those you don’t in your local area…let it spread through the whole of your hometown… through the country… let it radiate out to the vast continent and all the continents around the globe… to all the beings and life on this miracle of a planet. Feel love pulsing like a heartbeat through the whole universe. Hold in this space for 5 or so minutes. – Then feel that immense love that grew and grew and grew… turn it inward and feel it for yourself. Really feel it. Its power is great. Let it flood over you like a healing rain and grace your very soul. You, like everyone else, need love to survive and thrive. Yoga Poses for Anahata are backbends, and my favourite is Supported Fish Pose. You need a few blocks for this pose. – Place a block or 2 on your mat where the back of your ribs/ shoulder blades will be. Also, put a block or 2 where your head will be as a pillow. We want to open the front of the heart but make sure the neck is happy. Not everyone will need 2 blocks behind the head. Any neck or back issues please ask your yoga teacher before doing this pose. – Legs can be straight or feet together knees out to the side as in butterfly. Whichever is most comfortable. – Let the floating ribs sink down and in towards the hips. This connects our heart space to our place of power at the Solar Plexus. There is a plugging in of the heart and we feel more connected, simply by this small action of earthing the ribs. It also puts our spines in better alignment, so we are not overarching in the back of the body. I like to imagine my heart is growing roots reaching down into my Earth Chakra, grounding my heart energy. – Arms can be by your side, on your ribs (as a reminder of the downward movement) or up over the head in Kali mudra (fingers interlaced with the index fingers pointing up). – Stay here for 5-10 breaths or however long feels right. Read our previous Chakra series blog, on the Manipura Chakra here. 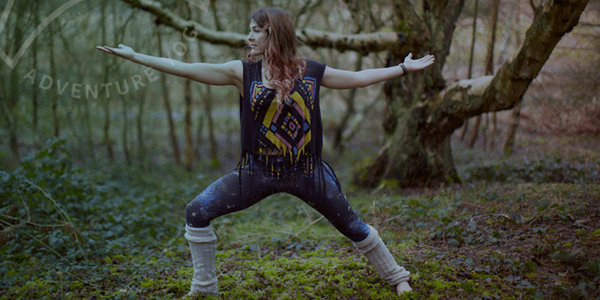 Rebecca Keenaghan is a yoga teacher who works with AdventureYogi on our retreats in the UK and abroad. When she isn’t teaching her pearls of wisdom to our guests, she is teaching her own classes in North London.